Since 1989, Mosse & Mosse Associates has provided our clients with a team of professional and experienced support staff that possesses a thorough depth and breadth of knowledge in School & Municipalities. Our firm is dedicated to building long-term relationships by providing personalized quality service. Our comprehensive approach to each engagement provides controls along the way, helping to ensure both accuracy and timely delivery of client services. We believe our dedicated consultants deliver unparalleled service and expertise to our customers for all of their employee benefits needs. Our clients expect superior service. Our goal is to exceed their expectations. As a result driven organization, we periodically monitor the financial performance of our customers' programs. Rather than simply providing information, we make educated recommendations that we periodically measure and stand behind. Our goal is to consistently improve financial performance. Our innovative solutions are designed to deliver effective employee benefit programs tailored to meet the specific needs of each client. We work with our clients to produce inventive solutions for each new challenge. We strive to develop strong and long-term relationships with our clients, new and old. We want our clients to look at our organization as an extension of their own. The success of our organization is a direct result of our talented professionals' dedication to our customers. The success of this firm is measured by the effectiveness of our clients' employee benefit programs. 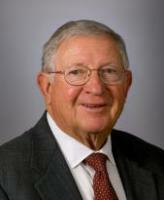 George co-founded the firm in 1984, having been in the insurance field since 1978. He is a health & welfare consultant and principal. Prior to being in the insurance business, George had been an auditor for a Big 8 accounting firm, an accountant at Children’s Hospital in Boston, and had various managerial positions with GTE Sylvania. George is a graduate of Northeastern University where he was awarded a B.S. in Accounting. Brian joined the firm in August of 1999 and currently heads up the firm’s School and Municipal Department where he provides employee benefit consulting services to over 75 public school districts, educational collaboratives, SAUs, Supervisory Unions and municipalities throughout Massachusetts, New Hampshire, Vermont, Connecticut and Rhode Island. He currently serves as an advisor to several 32B Insurance Advisory Boards throughout Massachusetts and has assisted school districts and municipalities in making strategic decisions for their employee benefit programs for more than fourteen years. Brian also has experience working with several private schools and private companies throughout New England. Brian joined the firm upon his graduation from Bowdoin College in Brunswick, Maine, where he was awarded a B.A. in Government and Legal Studies with a Minor in History. He is currently a member of the Massachusetts Association of School Superintendents (MASS), the Massachusetts Association of School Committee Members (MASC), the Massachusetts Association of School Business Officials (MASBO), Tri-State ASBO, and the Greater Boston Chapter of the International Society of Certified Employee Benefits Specialist. Mr. Lyons was the Superintendent/Director of the Shawsheen Valley Technical School District from 1987 until the fall of 2015. He developed a decentralized fiscal management system, initiated a five-year capital budgeting system, and implemented an extensive technology improvement plan, including the construction of a life science wing completed in 2009. Under his leadership, Shawsheen was consistently ranked a Level-One school and repeatedly earned academic commendations by the Massachusetts Department of Elementary and Secondary Education. His extensive background in municipal and school finance ensured students received rigorous and relevant programs in a facility that met state of the art industry standards. He developed an in school affordable day care facility for teachers and employees, and an in school state of the art wellness facility for staff and students. Shawsheen remains one of the finest CVTE High Schools in the Commonwealth of Massachusetts. At his retirement, Shawsheen acquired an average student attendance rate of 97.1%, a four year on time graduation rate of 98.2%, an annual drop-out rate of less than 0.2%, and enjoyed the highest percentage in the state of co-operative placement jobs in the private sector for high school students. He acquired support for a $6.2 million upgrade to Shawsheen’s athletic complex in his final months before retirement. Mr. Lyons was the first 18-year-old in the country elected to a town or city position when he joined the Arlington School Committee in March of 1972. He served on the Arlington School Committee through 1979, and was a Selectman in Arlington, MA from 1981 to 2005. He was President of the Massachusetts Association of Vocational Administrators (MAVA) in 1996, President of the Massachusetts Selectmen’s Association in 2000, and President of the National League of Cities in 2004. His extensive background in school and municipal finance, four decades of collective bargaining experience, and his extensive knowledge of health insurance cost containment strategies, provides tremendous value to services provided by Mosse & Mosse. employed by Mosse and Mosse an advisor and assistant. As a Senior Associate, Frank has been instrumental in helping our company grow during crucial periods of its development. Frank’s assistance has often extended itself to clients who have known and trusted Frank for years and thus seek his advice. In addition to focusing on numerous Massachusetts client districts, Frank has also assisted our firm with several New Hampshire school districts as well as districts in Connecticut. Frank has worked or consulted in approximately 100 senior financial and administrative positions in urban, suburban and regional school districts. Most of his work has occurred in Massachusetts but other consulting assignments have been completed in New Hampshire, Vermont, Rhode Island, Connecticut, New York and Illinois. Mr. Colvario has completed extensive assignments for the Executive Office of Education and was a senior consultant for the Department of Education in connection with the Lawrence Public Schools. Frank Colvario graduated from Boston University with a BS and MEd in Business Education and has an MBA in accounting from Suffolk University. 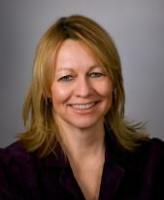 Mary joined the firm in April 2005. Mary brings with her over 15 years in an administrative support role. Prior to joining our sales team, she worked in the Legal and Compliance Departments for a major 401(k) plan administrator as a legal assistant for two attorneys. She also provided support for the retirement plan consultants.